Get ready to eat healtful and wholesome foods! 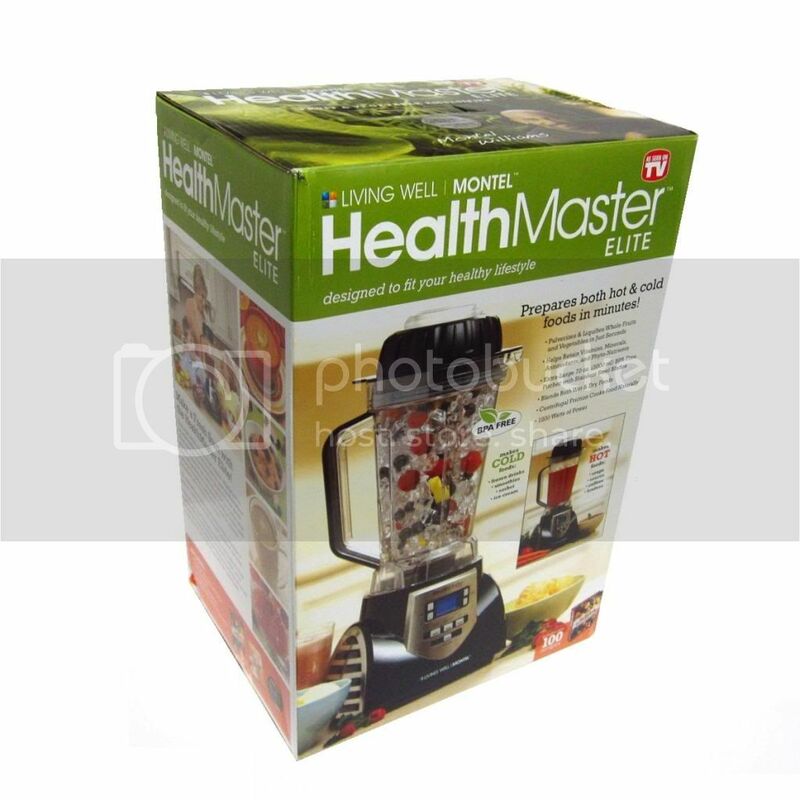 Including leafy greens and fresh fruits and veggies in your diet is easy with the HealthMaster Elite. A 2 HP motor and 1200W total power combine to chop or liquefy fruits and vegetables to make all your favorite smoothies, frozen desserts, fresh soups, healthy salad dressings, and more. From Montel Williams. New Stainless Steel Uni-Body blade that includes 4 super sharp serrated blades. Extra Large Lid Opening to Add Whole Fruits and Vegetables Easily. Sleek Design With Stainless Steel Panels and Easy Grip Pitcher Handle. New Motor with almost 2 Horse Power and 1200 Watts of Power. New 4 Point Weight Engaging Base. Place It and Blend It! Includes Garden Fresh Recipe Binder with over 100 recipes. Retains the Vitamins, Minerals, Antioxidants and Phyto-Nutrients. Makes Hot Soups and Cold Ice CreamCentrifugal Friction Cooks Food Naturally. Multiple Safety Features.